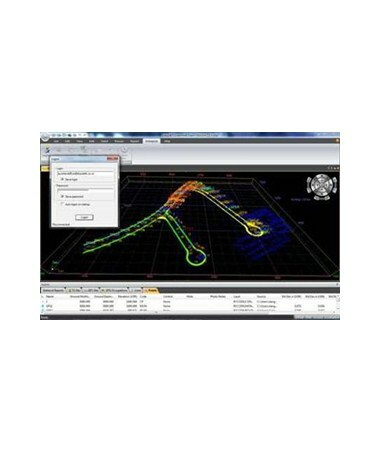 MAGNET Office is advanced CAD (Computer Aided Design) software developed by Topcon that provides a complete desktop survey and drafting solution for surveyors, highway contractors and design engineers. It has an extensive range of tools and options, enabling users to adjust and generate coordinates from total stations, construction levels and GPS raw data. Compatible with MAGNET Enterprise’s Cloud server exchange, project files are available virtually everywhere to aid in the collaborative process. A project file can contain all your important survey data, raw data, surfaces, roads, drainage designs and drawings – that is why it should be saved and archived properly. The MAGNET Office project file is self-contained and space-efficient. This desktop software stores any files related to a project into a single file, making storage and retrieval of tasks simple. Required library data is also saved in the project file to ensure portability. Get real-time updates from your field colleagues! MAGNET Office software allows you to send chat messages and exchange files to others in your company account. Staying within your private company network is more productive than phone messaging and texting because it provides an exclusive connection to the project crew, enabling you to get answers quickly and efficiently. With Topcon MAGNET Office, you can save hundreds of dollars by not having to install additional CAD licenses. Office products are standalone installations capable of handling all of your construction and surveying drafting needs. However, if you are already running AutoDesk’s Civil 3D on your PC, you can still install this CAD software to handle your surveying and site field data analysis. The design and drafting tools offered by MAGNET Office provide everything you need for construction and surveying applications. It features numerous options for subdivision, road and drainage design. In addition, its comprehensive editing capabilities enable you to reprocess survey data and update graphics immediately. This office desktop software also provides several different and simultaneous perspective views of your design data, enhancing your productivity by allowing you to view design changes from multiple perspectives. MAGNET Office is also extremely customizable, so you can control exactly how a project is designed and finished. You can customize this drafting office software by selecting your desired version from the drop down menu in the upper right hand corner of this page. Add-on modules are also available so you can add features that you might need later on. MAGNET Office is available in 6 different versions to suit your exact needs. 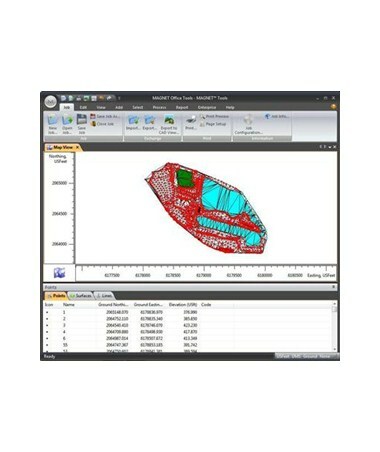 As a standalone or as an AutoCAD-embedded interface, MAGNET Office Tools is the processing software for surveying, construction and mapping applications. It is the most advanced office data processing application that enables users to adjust and generate final coordinates from total stations, construction levels and GPS raw data. Both standalone and AutoCAD installs support the MAGNET Enterprise Cloud storage add-on and chat communication, which keeps you connected with the field by exchanging files and even displays field measurements on the Office Tools screen in real-time. MAGNET Office Tools + Post Processing is the most advanced office data processing and post processing CAD software that enables users to adjust and generate final coordinates from total stations, construction levels and GPS raw data. It supports the MAGNET Enterprise Cloud storage add-on and chat communication, which keeps you connected with the field by exchanging files and even allows you to watch field measurements appear on the Office Tools screen in real-time. This desktop software can be installed as standalone option or inside an AutoCAD product for post processing of raw data files. MAGNET Office Tools Solution combines the features of Office Tools and Post Processing plus a MAGNET Enterprise login to access Cloud storage for a period of 12 months. MAGNET Office Tools + Post Processing is the most advanced office data processing and post processing application that enables users to adjust and generate final coordinates from total stations, construction levels and GPS raw data. Both standalone and AutoCAD installs have direct connections to the MAGNET Enterprise Cloud storage and chat communication, which keeps you connected with the field by exchanging files and even allows you to watch field measurements appear on the Office Tools screen in real-time. This package is ideal for professionals requiring desktop survey and drafting software for a limited time period. In addition to all the functionality of Office Tools, MAGNET Office Topo is a drafting package for surveying and simple project drafting. This CAD software is capable of processing and reducing MAGNET Field and MAGNET Office Tools data into a drafting environment that produces final drawings and models for surveyors, engineers and machine operators. Based on AutoCAD RealDWG, which helps you share design data using the native DWG file format, this desktop software is designed for surveying professionals who need to quickly and efficiently bring their field work in and process it to a finished map. It also supports the MAGNET Enterprise Cloud storage add-on and chat communication, so you can upload, download and gather data in real-time from the field with just a touch of a button. MAGNET Office Topo + Post Processing is a drafting package for surveying, which incorporates the advanced data processing features of MAGNET Office Tools. This CAD software is capable of processing and post processing raw data from MAGNET Field and MAGNET Office Tools, turning them into final drawings and models for surveyors, engineers and machine operators. Based on AutoCAD RealDWG, which helps you share design data using the native DWG file format, this desktop software is designed for the surveying professional who needs to quickly and efficiently post process gathered raw data to a finished map. It also supports the MAGNET Enterprise Cloud storage add-on and chat communication, so you can upload, download and gather data in real-time from the field with just a touch of a button. MAGNET Office Topo Solution combines the features of Office Topo and Post Processing plus a MAGNET Enterprise login to access Cloud storage for a period of 12 months. 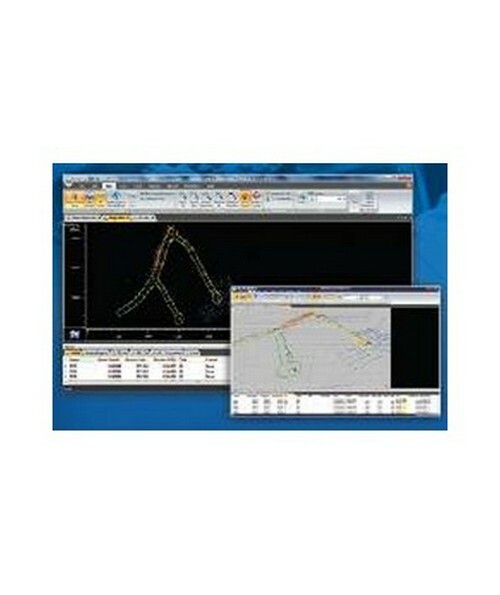 MAGNET Office Topo + Post Processing is a drafting package for surveying and simple project drafting. This CAD software is capable of processing and post processing raw data from MAGNET Field and MAGNET Office Tools, turning them into final drawings and models for surveyors, engineers and machine operators. Based on AutoCAD RealDWG, which helps you share design data using the native DWG file format, this desktop software is designed for the surveying professionals who need to quickly and efficiently post process gathered raw data to a finished map. It also supports the MAGNET Enterprise Cloud storage add-on and chat communication, so you can upload, download and gather data in real-time from the field with just a touch of a button. This package is ideal for professionals requiring a desktop survey and drafting solution for a limited time period. Beyond its traditional data processing applications, MAGNET Office is an important component in connecting office personnel to both field crew and project managers. This desktop survey and drafting solution greatly streamlines workflow and increases productivity both in the field and in the office.